Take a Moment and Explore! We proudly serve the entire state of Texas. 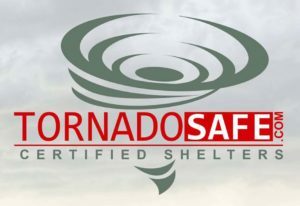 TornadoSafe Certified Shelters tested to withstand EF5. Protect your family with the best! 1/4″ steel construction. Our below ground tornado shelters are unique because they can be installed in your garage and don’t require the use of valuable square footage. Also, TornadoSafe shelters are out of the weather and out of harm’s way. In-Ground Tornado and Storm Shelters offer compact, yet roomy 4 person shelters to units than comfortably accommodate up to 20 adults. Our below ground concrete slope front tornado shelters are engineered, tested and meet the highest quality standards at a competitive price. We use all of the excess dirt around the shelter as a berm to provide extra protection. We offer all-new LifeGuard in-garage shelters bringing safety and security inside your home for easy access during a storm. White Gel Coating; Long Lasting & Easy to keep clean. No Cracks. No Rust. No Pests. We are here to help. Approximately 10,000 lives are saved each year due to shelters and emergency plans.